Over the past 15 years we’ve remained true to our commitment to putting our customers first, focusing on high quality meals with fast and reliable service. Whatever the need, we remain flexible and will customize any solution to meet your needs. Catering you can count on. Whether you need to feed five people or 500, the experienced team at All About Lunch can deliver – even at the last minute. Our commitment to variety, value and quality ingredients means you can feel good about choosing our deli. I love All About Lunch! I use them all the time for my company meetings. They're on-time, set up everything and the food is fresh and fantastic. All About Lunch is fantastic! They’re food is fresh and delicious, their attention to detail is superb, and their customer service is spot-on. Everything was fantastic! Both the chicken and lasagna were a huge hit. Thanks again for helping us set up. You guys really go above and beyond and its always so appreciated. Just wanted to let you know all the dishes you made for the lunch this afternoon were very well received. Coming from our group of "foodies", that is a big compliment. The lunch was great, received a lot of thanks/compliments and I referred all to you while I was talking to everyone. All About Lunch is absolutely extraordinary, from their first-class service to their world class food. 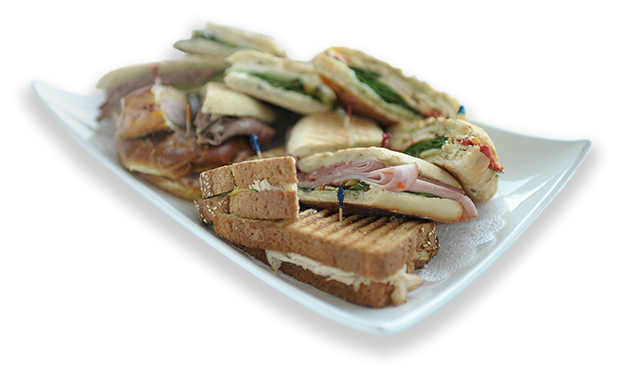 We never have to worry about our catered events when AAL is catering. I was very impressed with the presentation and your thoughtfulness in supplying a table cloth and the additional touches to make the breakfast special. You have my vote!